An All-State athlete in high school, Mo was drafted by the Atlanta Braves in 1992 and spent six years playing professional baseball with the Atlanta Braves as a pitcher. 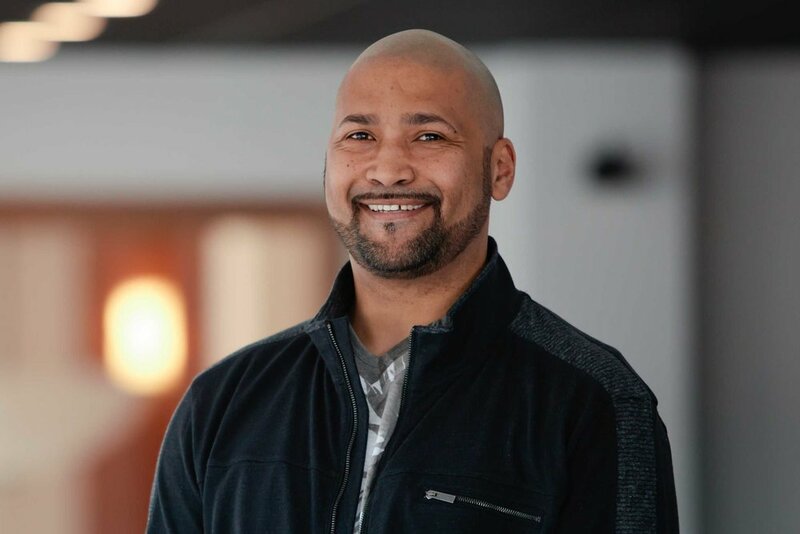 After transitioning out of baseball, Mo returned to Massachusetts, and continued serving at IFC which he and his family have attended since he was eight years old. 1999, Mo graduated from Victory Bible Training Center and became the IFC Student Pastor in 2002. Mo has served at IFC since 1993. From 1993 to 2017 Mo served as the IFC Student Pastor and transitioned to the Guest Services Pastor where he leads the teams responsible for making each person feel welcome. You can take the athlete out of the sport but not the sport out of the athlete! Mo enjoys being able play sports, coaching baseball, all things New England sports, playing fantasy sports and PS4 (not Xbox!) and spending time with his wife Amy and his two children, Brayden and Olivia. In 2014 he was inducted into the Lexington Christian Academy hall of fame for baseball.